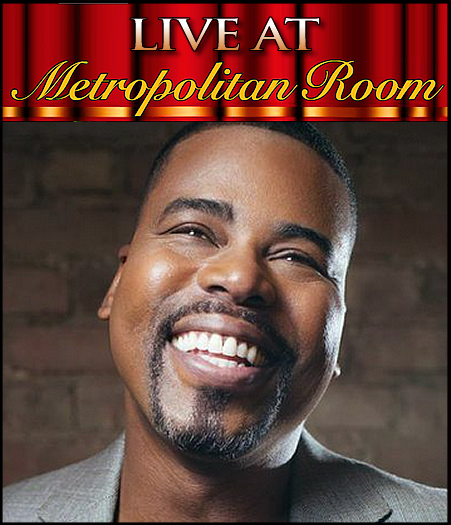 In an encore performance of his SOLD OUT solo debut, Broadway song and dance man Bernard Dotson comes back to the Metropolitan Room bringing storytelling and unique song stylings to this very funny and heartfelt evening. "Unexpected Songs" is retrospective a Bernard's years in show business from Disney parks and tours to Broadway and everything in between. Directed by Bob E. Gasper and under the musical direction of MAC and Bistro Award winner Tracy Stark, the show will feature David Silliman on Drums, Skip Ward on Bass, Peter Calo on Guitar, and Jeanne Montano and Tanya Holt on back up Vocals. On Broadway, Bernard was featured in Finian's Rainbow, (First Gospeleer, Original Revival Cast), Chicago, (Billy Flynn), Imaginary Friends, (Leo, Original Cast), Sweet Smell Of Success, (Club Zanzibar Singer, Original Cast), Jesus Christ Superstar, (Original Revival Cast), and the Tony Award Musical Ragtime, (Original Cast). Concerts and recordings: She Loves Me, Boys Night Out, Celebration of the Rat Pack, New York Philharmonic, the music of Frank Loesser, Dreamgirls for the Actors Fund, (Recording), Broadway On 22nd Street, Encores Broadway Bash at City Center, and several cast recordings including the newly released Stephen Sondheim's Merrily We Roll Along.